Art as been used for many years as a terapeutic technique. The link between mental health and creativity has been well established. Philosopher Alain de Botton created a site in the same vein, based on the creativity of painters trough the centuries. It's not about your creativity but it helps. You can have a look here. The idea is to choose the words that better describe your state of mind. I tried with "anxiety" and then "I worry about everything", a state I guess most people experience now and then. 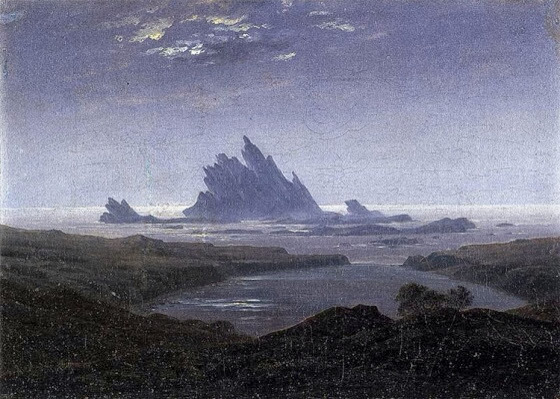 The picture that came up is of one of my favourite painters ever, David Caspar Friedrich: "Rocky Reef on the seashore". Do try it. It's soothing and makes you think.